Popular Wedding Hotels in Kolkata That Are All Things Glitz and Glam! Yes, weddings are fun – but only when all things are in order. This is why you must make sure that things, like your wedding venue are selected properly. Albeit it is a challenging task to book the right venue, but if done right, it could really make or break your wedding day experience. In fact, it could go a long way in making your wedding day smooth. There are a lot of little things to consider before choosing a venue, but if your wedding is just three months away, and you are getting married on an on season, you might not get the best venues that take care of all your needs. To ease your find we present to your our handpicked wedding hotels in Kolkata that offer magnificent event spaces backed with expert consulting and exceptional services. These wedding hotels in Kolkata are sure to add all the glitz and glam you’re looking to add into your celebration. Folks who want to plan a big city wedding from areas in an around Kolkata, these are great options. For those of you who live in the city, take your pick! The Golden Parkk, Park Street, Kolkata is a great marriage hall for pre-wedding and wedding ceremonies. Coordinate with your decorators to deck up the banquet hall and get your favourite caterers to create a menu that will leave your guests impressed. In the year 1967 that the Beatles toured India, was the year The Park Hotel, Park Street, Kolkata was launched. This luxury five star has a dramatic Lobby, elegant decor and modern facilities reflecting the rich history of art and architecture of the city. The venue has 2 sprawling banquets and is perfect for a grand indoor royal wedding or reception. Providing complete flaccidity with getting a caterer or a decor team of your choice the venue promises an ambiance and service you'll never forget. 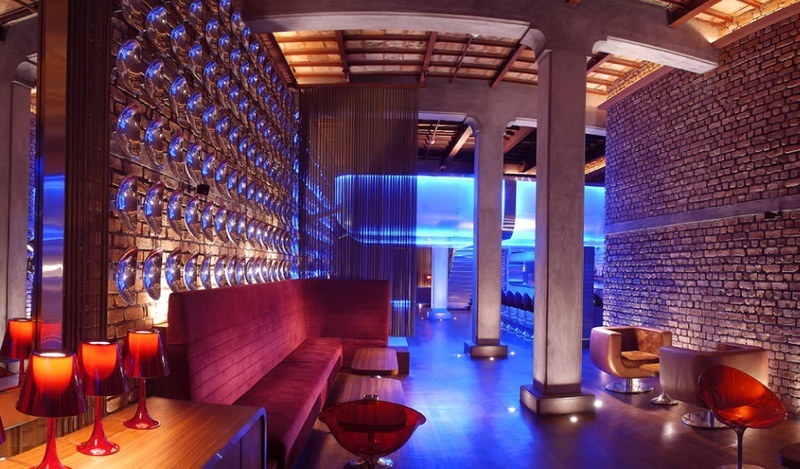 The Astor, Elgin Road, Kolkata offers an elegant space for pre-wedding and wedding ceremonies. You can also host your wedding reception here and treat your guests to an enjoyable time. Their in-house caterers will surely impress you with their range of delicacies and you can get your own decorator to deck up the space according to your theme or decor ideas. Hotel the Sojourn, Salt Lake, Kolkata offers a beautiful banquet for pre-wedding and wedding ceremonies. You can combine their halls to host larger parties for wedding receptions and other ceremonies. Their in-house decorators can set up the space to complement every occasion while their chefs whip up a delicious meal for your guests to enjoy. Hotel Lindsay, Esplanade, Kolkata offers a beautiful space for pre-wedding and wedding ceremonies. If you are hosting a larger gathering, you can combine two of their halls for a spacious banquet. Their larger marriage hall on the 9th floor offers a beautiful view of the City of Joy. Convenient location and hospitable staff will surely make your special event a memorable affair. Taj Bengal, Alipore, Kolkata is an ideal place for wedding as it has a lot of open space. The venue has 3 different banqueting spaces and you can choose from their indoor venues or combine a banquet and a lawn or choose just the terrace garden. The venue is a one stop shop for all your wedding requirements and provides excellent catering services. You may also bring your own decor team to set up the venue of your dreams.